[Monique Koszty | Banner] Nathan Iverson, one of California Baptist University’s newest professors, is working on a graduate program for Industrial-Organization Psychology. A master’s program that takes the strategics of business and the analytics of psychology to help maximize the workforce is coming to California Baptist University. 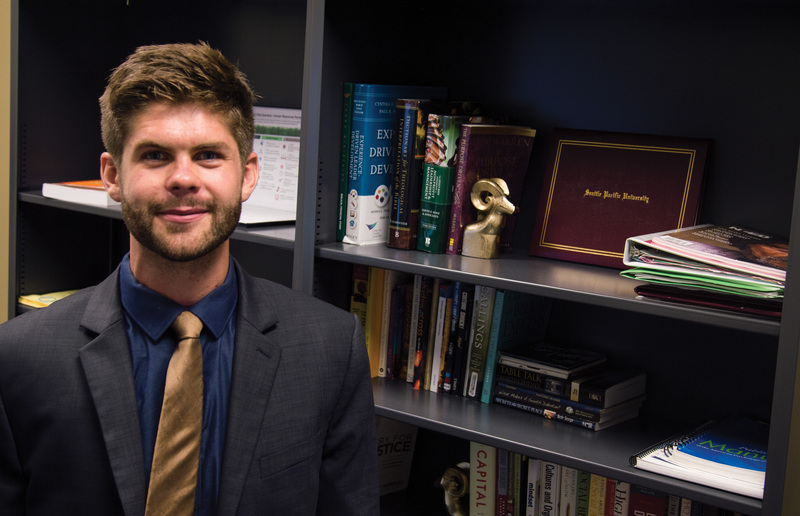 Nathan Iverson, assistant professor of psychology, one of the newest members of CBU’s faculty, is currently developing the Industrial- Organizational Psychology graduate program, otherwise known as the I-O program. The program primarily targets psychology and business students interested in using psychology and statistics to help impact the workplace. Jeff Kiefer, senior psychology major, said the idea of consulting and improving corporations drew him to the program. The program will equip behavioral scientists with the skills to help organizations set and reach measurable goals within the workforce. “The I-O program at CBU is designed to prepare justice-oriented practitioners who are not only prepared to work in corporate settings, but also the nonprofit and faith-based sectors,” Gustafson said. The anticipated launch date for the program is the fall of 2017. Meanwhile, Iverson and his team will be building the plan during the current academic year. “This next year is marketing, developing the program and planning so we can be ready to launch fall of next year,” Iverson said. There will be an introductory undergraduate elective offered in the spring of 2017 to be taught by Iverson. He said students who may be interested in the program should take the undergraduate class to get a taste for the I-O graduate program and for his teaching style. “It’s important when you’re choosing a grad school to realize who your professors are going to be, and if these are people you want to become like because they will influence your thinking,” Iverson said. He added the program is a great preview.